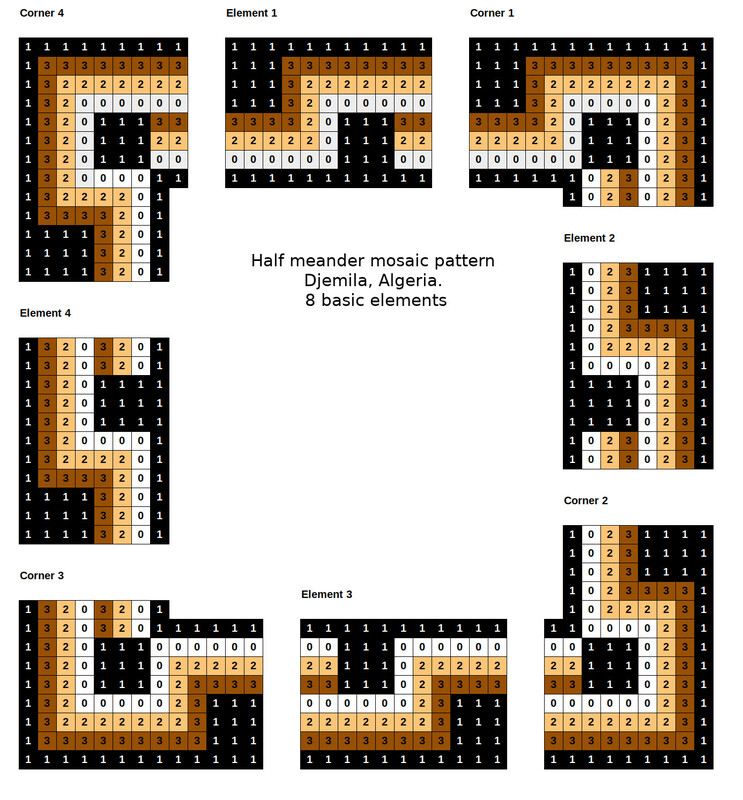 Free downloadable numeric files describing a simple geometric Roman mosaic border. 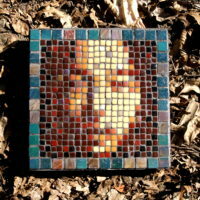 These files can be used to design an actual border for an actual mosaic. They can also be used artists working with other media. 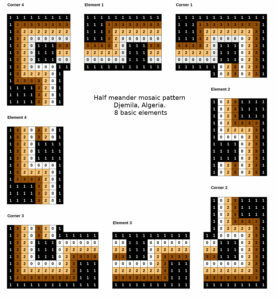 This half-meander mosaic border is the third Roman pattern I publish in this blog. 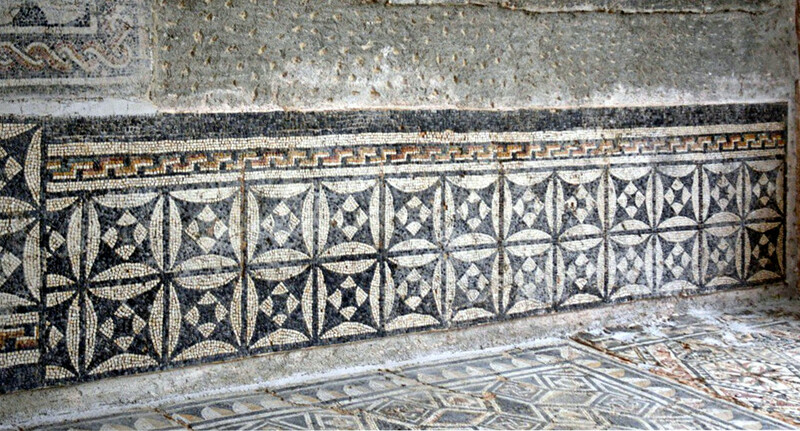 for the past 3 years, I have been recording geometric patterns during my travels to Europe to research and document Roman mosaics. 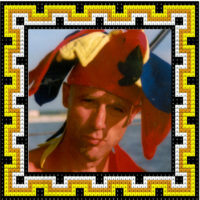 Back in the US, I digitize these patterns and templates and create files allowing to accurately reproduce these amazing designs and use them in your own mosaics or other graphic arts. The analytical method uses a spreadsheet. 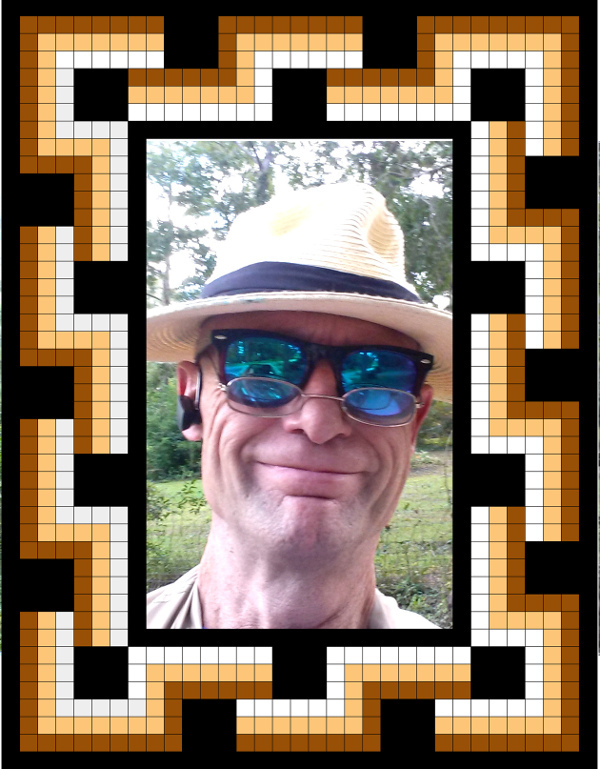 While the graphic method will be more familiar to graphic artists, the analytical one, which involves a spreadsheet (Microsoft Excel) may seem a little unusual to them, but is very accurate and quite easy to learn – as you can see n my video at the bottom of this post. This quadricolor half-meander was used on one wall of an aristocratic Villa from Djemila, the ancient Roman city of Cuicul in Algeria. It is a simple and elegant half meander design. 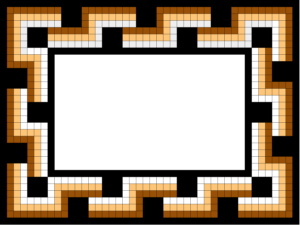 Because such pattern only uses right turns, you can realize it with square tiles of the same size running on parallel lines. This is the principle of my Opus Pixellatum technique. The artist run it around a room as was done in the villa pictured above. he may also use it as a frame to an emblema. 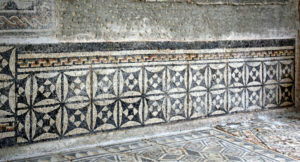 3 x 2 half meander Roman mosaic frame. The 8 elements of the pattern. 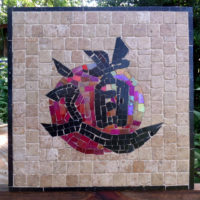 You can download for free the individual graphic files and the spreadsheet and use them to build this border and use it around your mosaics or other graphic project. Here is a video explaining how to build the border from the 8 graphic files. 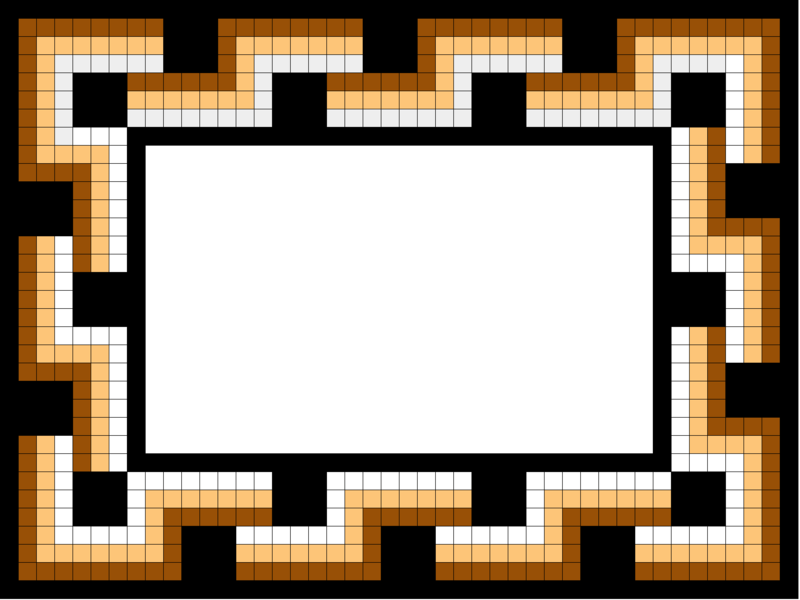 And here is the video explaining how to build the border from the spreadsheet. 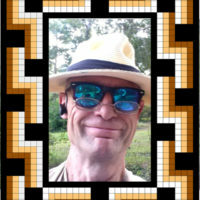 I will keep publishing files that will allow you to create models of Roman mosaic borders, backgrounds or figurative designs based on my documenting Roman mosaics during my travels or on the Net. If you chose to download and use them, please have the kindness to mention you got them from me. It would also be very cool to send me pictures of your work.